Bring the elegance of the runway to your fingertips thanks to Revlon’s new collaboration with Marchesa co-founders Keren Craig and Georgina Chapman in a set of 8 limited edition nail appliques that use opulent jewels, dainty beads, rich metallics, intricate prints, and lavish colours to replicate some of Marchesa’s most coveted couture gowns. 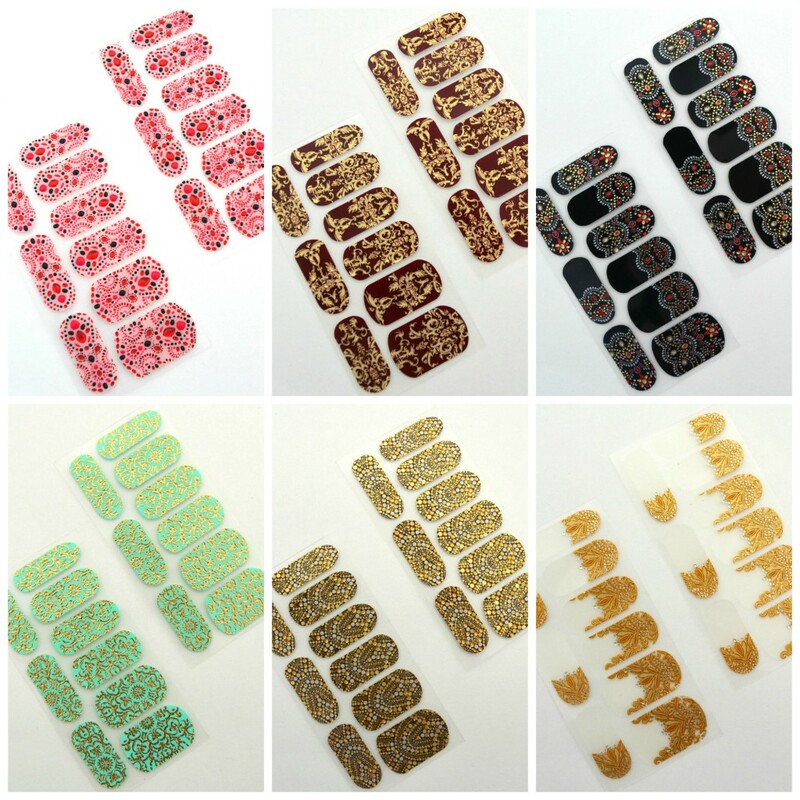 Each set includes 18 strips made with UV cured technology to help them last and can be worn alone or over polishes, a mini file, buffer and cuticle stick which all help to apply the strips quickly and easily with no bumps or rough edges. 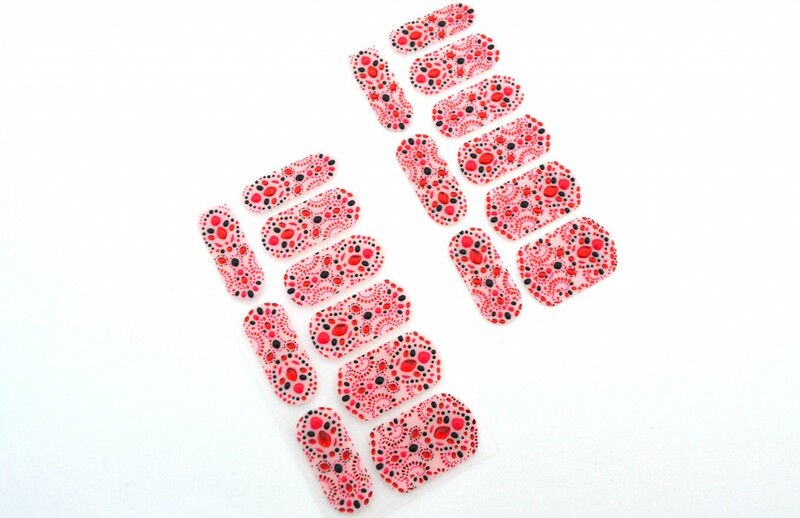 Each set retails for $8.95. 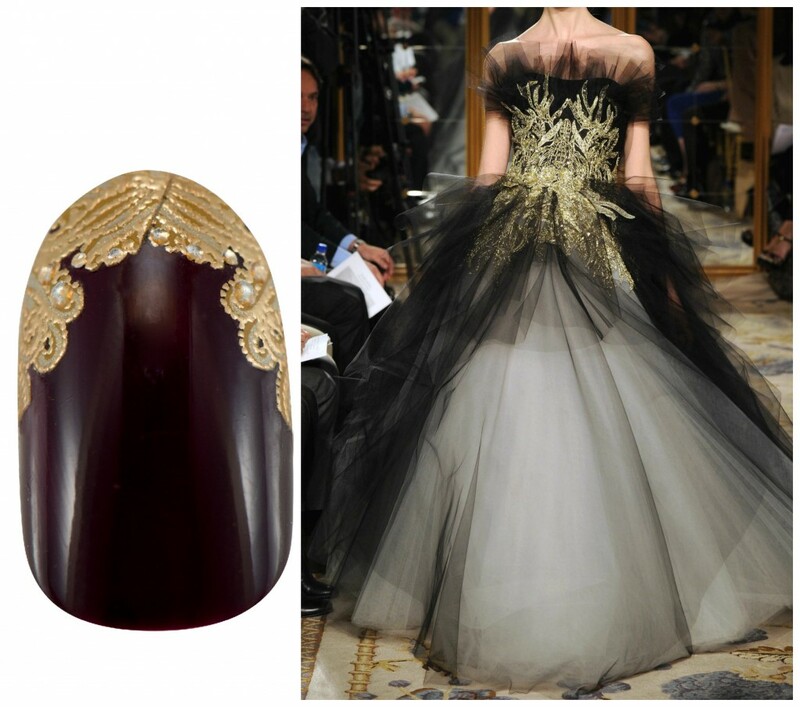 I’m in love with each and every design and almost don’t want to use them, since they are a limited edition and the closest thing to a Marchesa dress I’ll ever have. 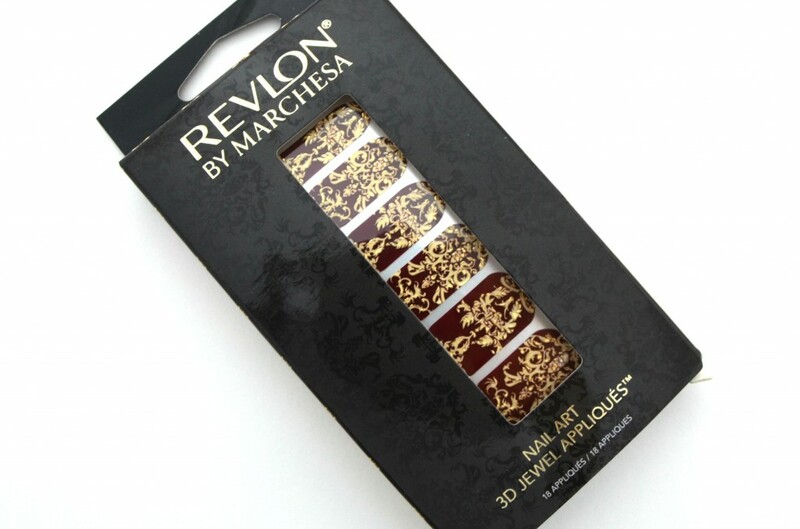 They apply easily, by starting with clean, dry nails that have been filed to your desired shape and length. 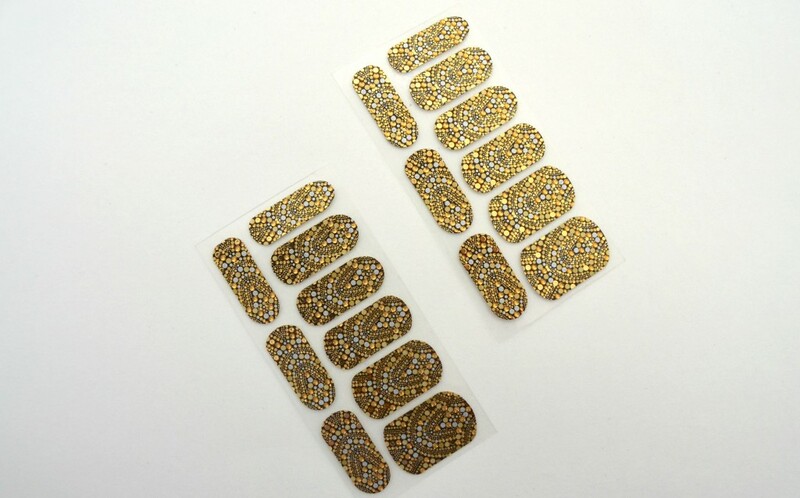 Quickly swipe some polish remover across each nail to make sure all the dirt, excess polish and oils have been removed so the appliqués stay on longer. 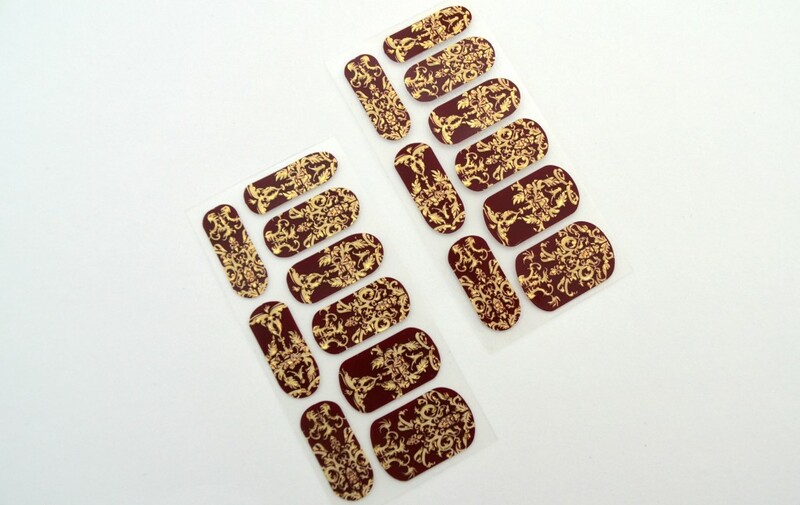 You then select the size that best fits your nail (always go a little bigger rather than smaller) and peel the appliqués off the clear sheet and press onto your nail. 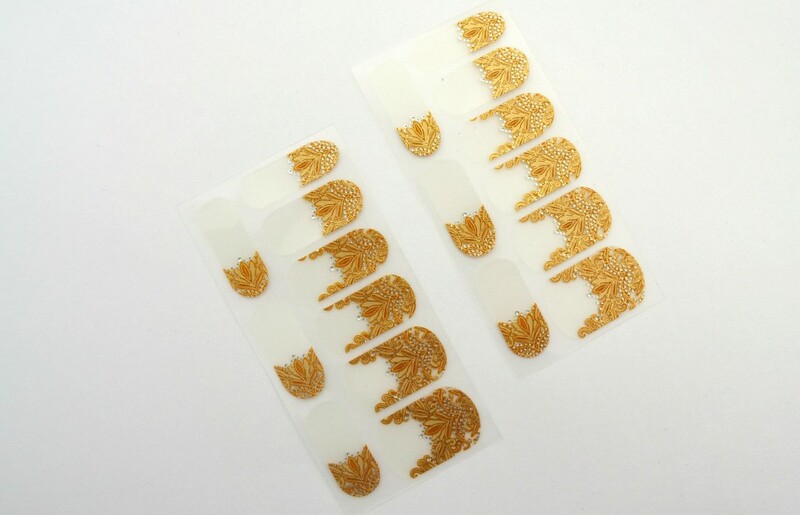 Start by securing it at the base and stretch is over the edge of the nail, smoothing it onto the nail and then use the cuticle stick to secure the edges and mini file to file off any excess appliqués. 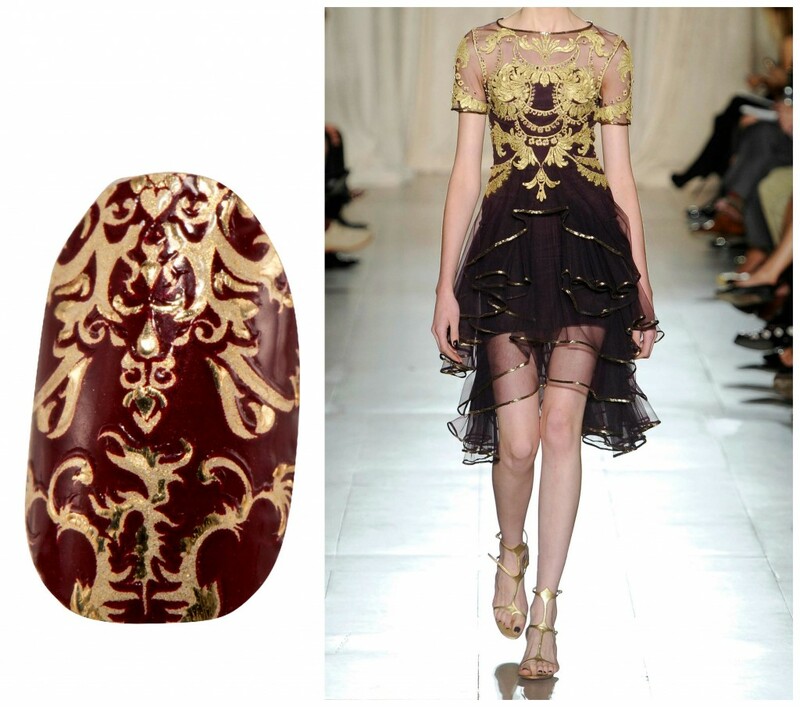 You can then apply a topcoat if you like, it also helps with wear time. 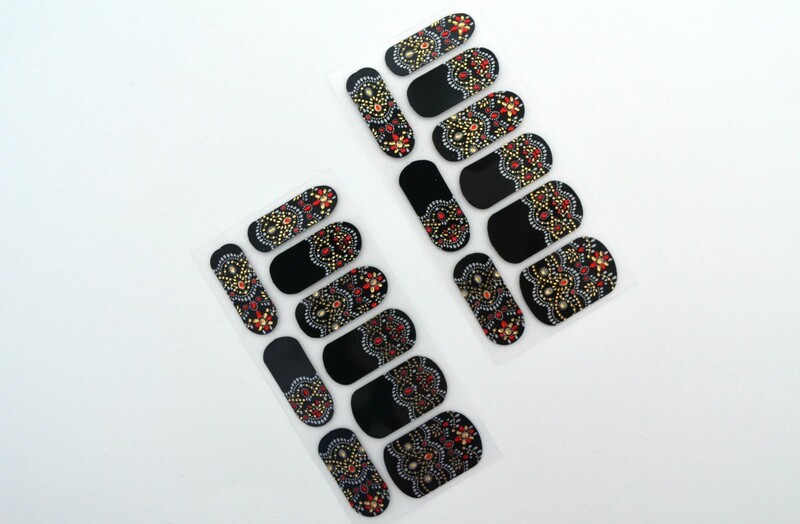 I wanted to share with you 6 out of the 8 designs, each one a little better than the next; your nails will make a statement with these for sure, how cute will these be paired with a simple white tee and boyfriends jeans? 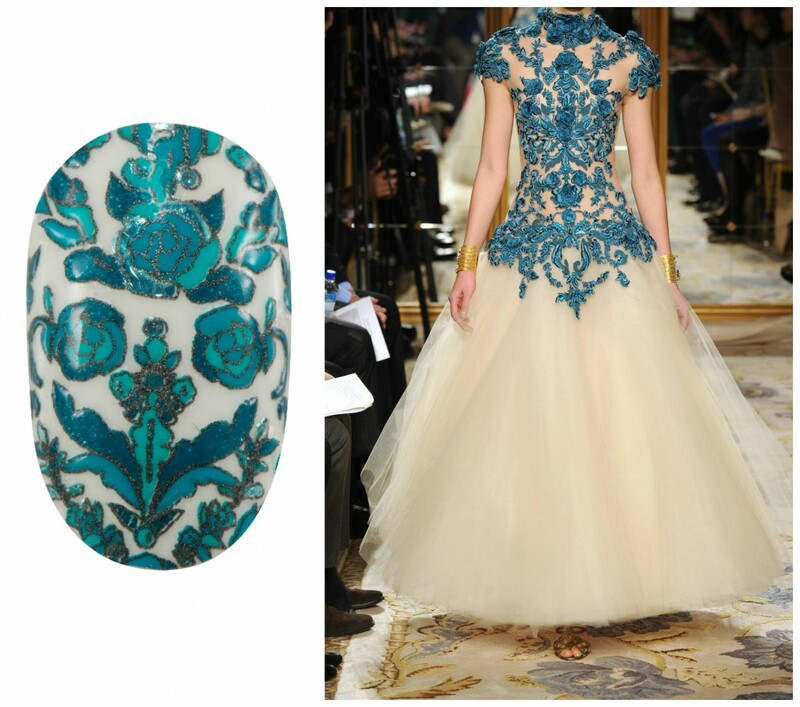 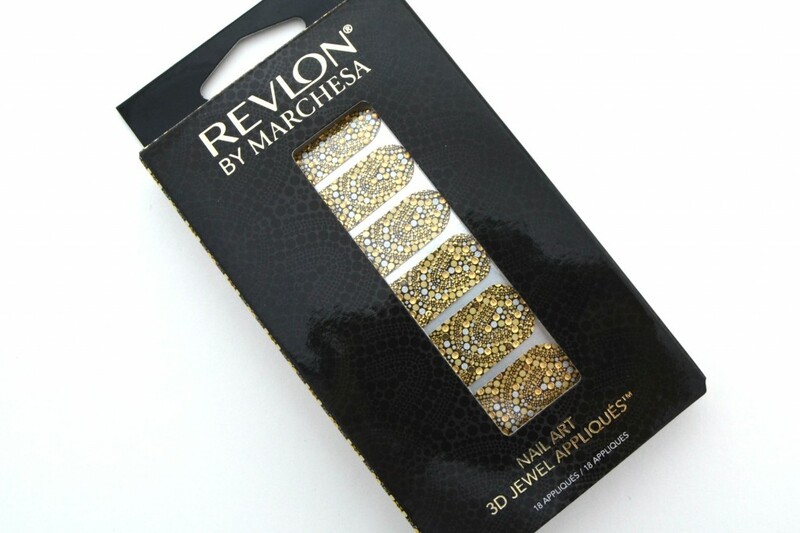 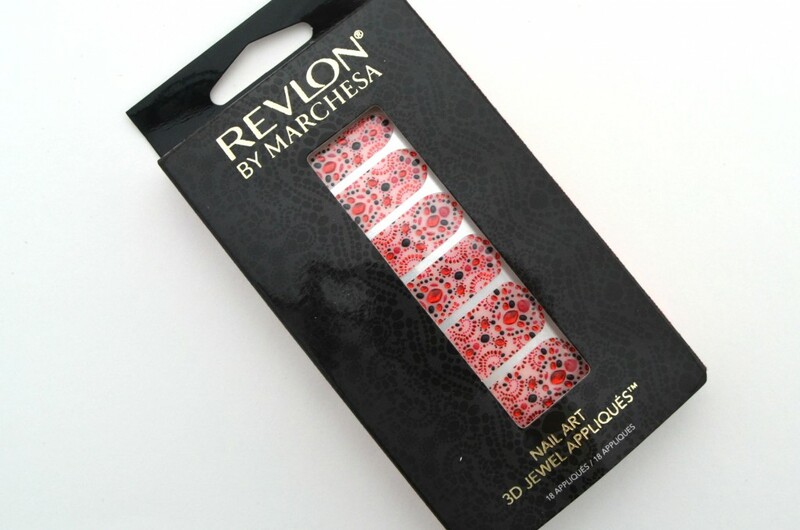 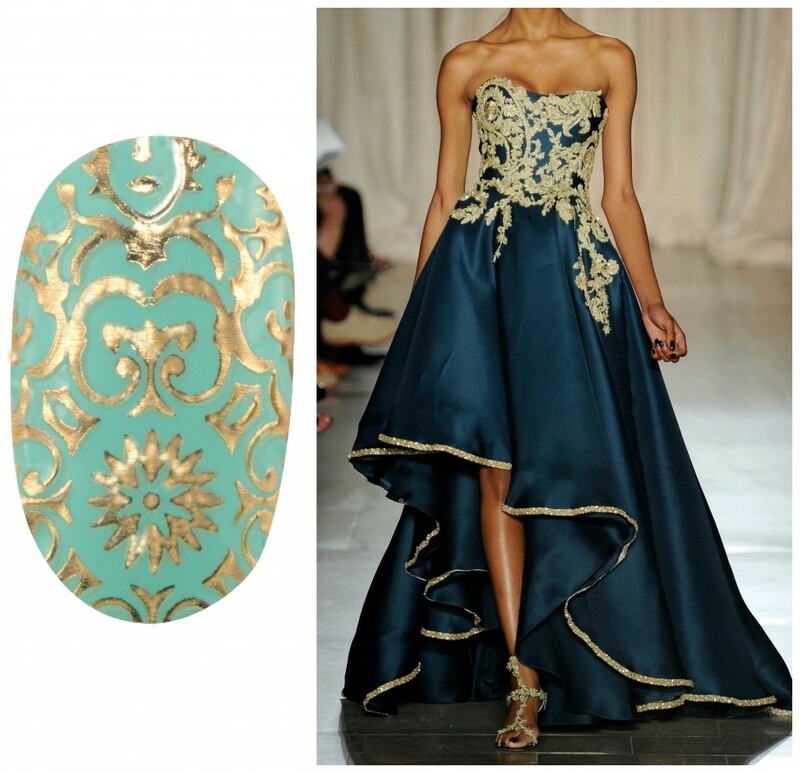 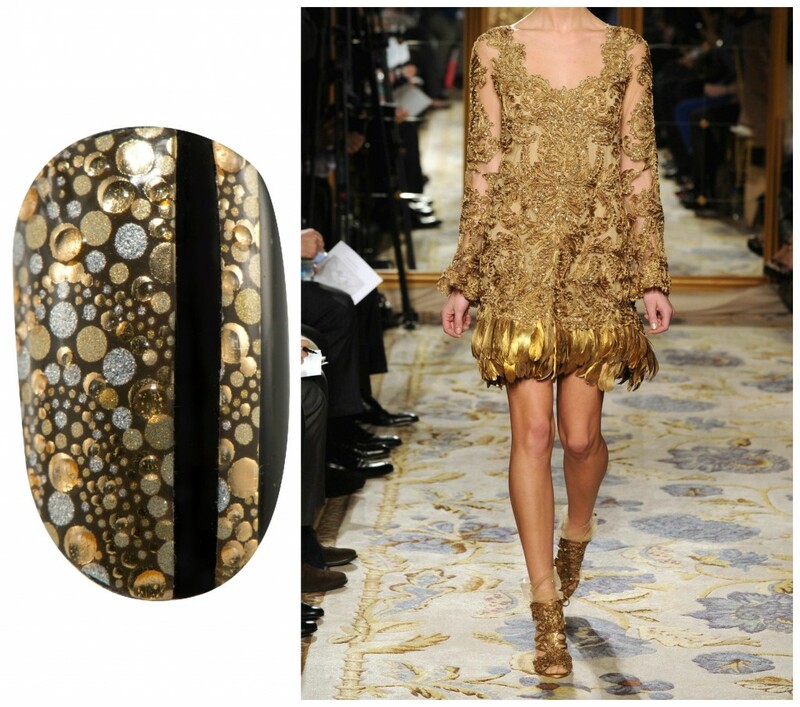 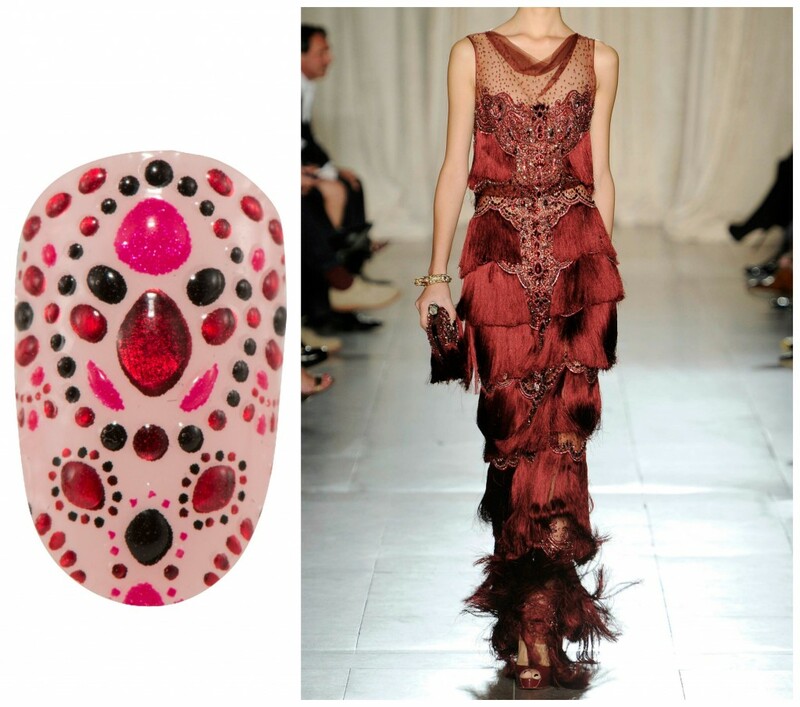 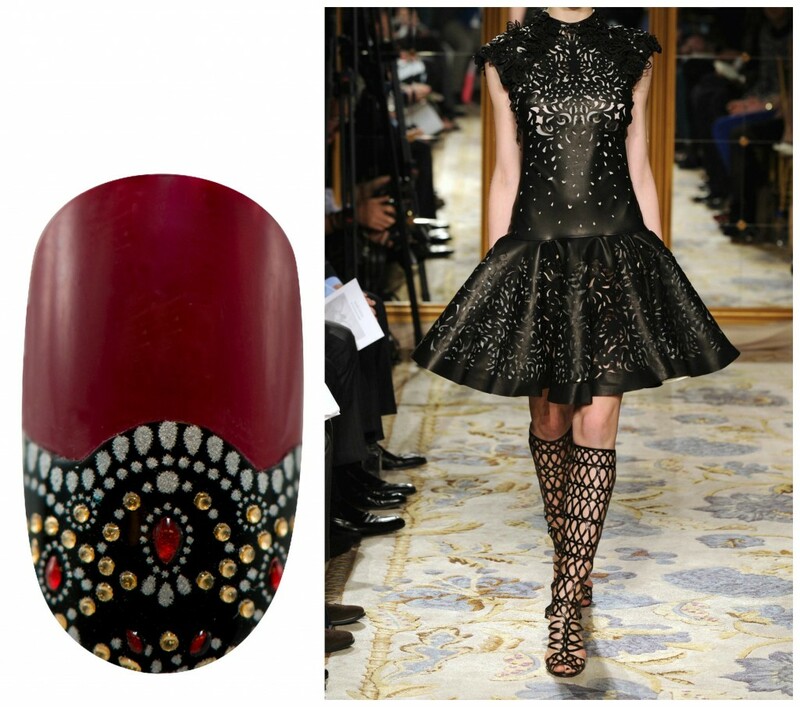 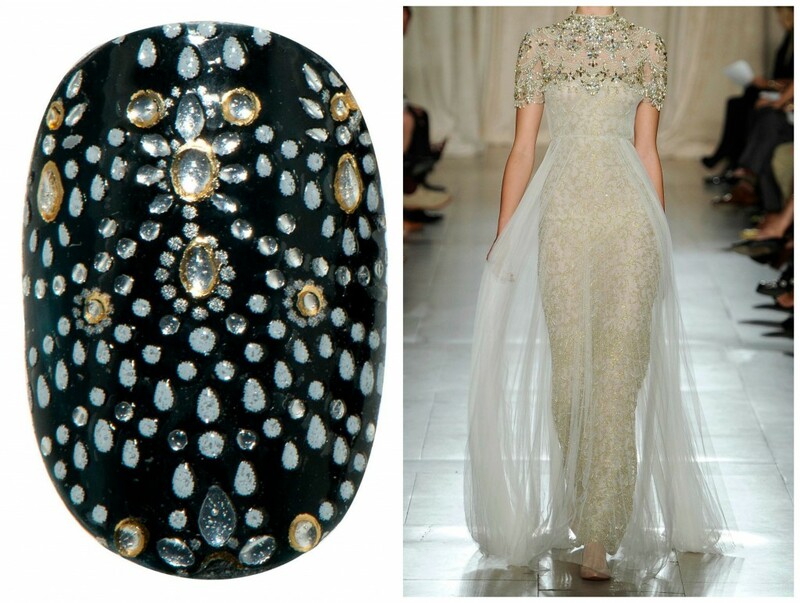 Which Revlon by Marchesa Nail Art 3D Jewel Appliqués is your favourite?